Not kidding! Last night I played my first gig outside of Holland. Not just anywhere, no, in WeHo (that’s what you call West Hollywood, I have learned). 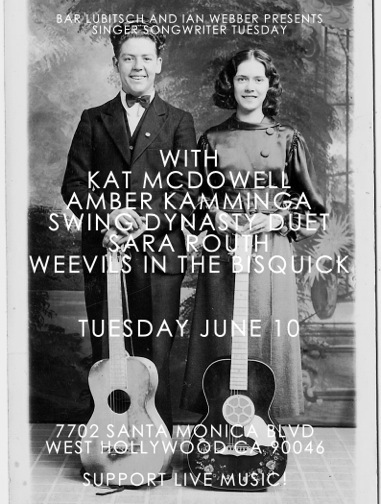 When I came over to Los Angeles to visit my sister I figured I simply had to play one gig. After all this is Los Angeles – the capital of creativity. 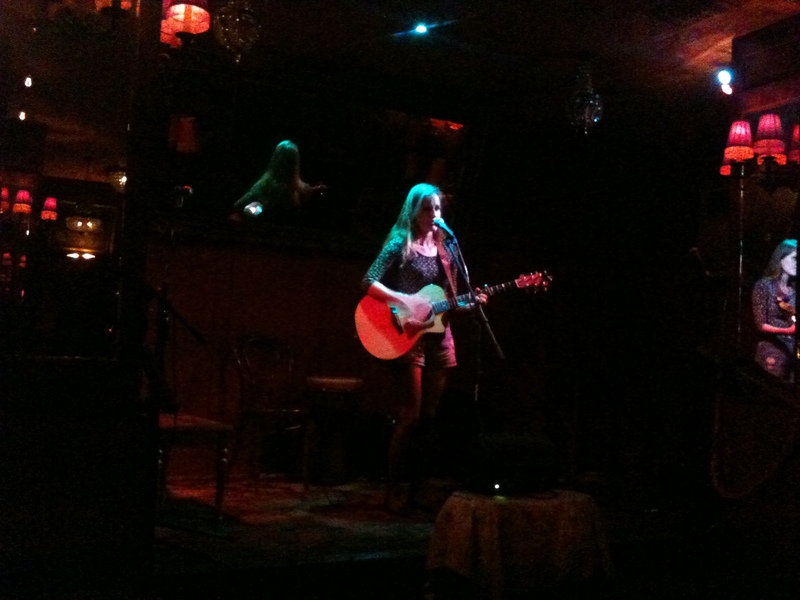 I looked around online and I managed to get a gig at Bar Lubitsch, which is a really cool&cozy bar where they have great vodka cocktails. I was pleasantly surprised at how many people came out on a tuesday night to listen to live music. Then again this is the city where musicians, writers and actors go to ‘make it’. Anyhoo, fellow musician Kat McDowell lent me her lovely Taylor guitar, it was fun to play a gig with a Taylor for a change. Especially because my ultimate guitar for the future is the Taylor K24CE, but don’t be mistaken – I love my dearest Martin guitar. I always wonder if it’s cheating to own both a Martin AND a Taylor guitar. It was good gig even though I was very nervous, I guess it wasn’t too bad since they allowed me to play one song more than planned. International gig? Check!